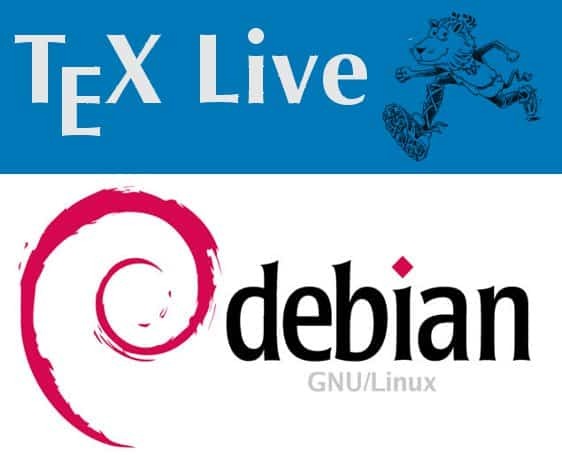 Now that jessie is close to release, and TeX Live 2015 release is planned for around June, I thought I start working on integrating the current status of TeX Live svn and tlnet into Debian, just to be sure that when TL2015 is released we are ready at the Debian side. There are still lots of things that will change, and hidden bugs, but at least I could install the packages on my local system and run simple files through it. Enjoy, and let me know your test results! New packages: apnum, babel-bosnian, bankstatement, begingreek, bondgraphs, bookcover, calculation, citeall, context-animation, context-annotation, context-fancybreak, context-title, context-visualcounter, ctan_chk, doclicense, ebproof, ekaia, elzcards, epsf-dvipdfmx, etdipa, europasscv, fancyslides, fixocgx, fontmfizz, genealogytree, glossaries-danish, glossaries-dutch, glossaries-english, glossaries-french, glossaries-german, glossaries-irish, glossaries-italian, glossaries-magyar, glossaries-polish, glossaries-portuges, glossaries-serbian, glossaries-spanish, gsemthesis, havannah, hook-pre-commit-pkg, impatient-cn, indextools, interchar, jslectureplanner, jumplines, latexcheat-de, leadsheets, manfnt-font, mcmthesis, mflogo-font, ndsu-thesis, newtxsf, prftree, ps2pk, ps2pk.x86_64-linux, romanbarpagenumber, sanskrit-t1, sduthesis, ticollege, tikz-dimline, tikz-palattice, tipfr, tudscr, turabian, turabian-formatting, urcls, versonotes, wasy2-ps, xcolor-solarized, xespotcolor, xmltexconfig, xprintlen, yfonts-t1. Updated packages: abntex2, achemso, acro, afparticle, ametsoc, animate, aomart, apa6, autonum, babel-french, bangorcsthesis, basicarith, baskervaldx, beamer, biblatex-anonymous, biblatex-apa, biblatex-bookinarticle, biblatex-chem, biblatex-gost, biblatex-philosophy, biblatex-publist, biblatex-realauthor, biblatex-true-citepages-omit, bibleref-french, bidi, bigfoot, blkarray, bnumexpr, bohr, calxxxx-yyyy, cdpbundl, cfr-lm, chemfig, chemmacros, chess-problem-diagrams, cite, cnltx, collection-bibtexextra, collection-binextra, collection-context, collection-fontsextra, collection-fontsrecommended, collection-fontutils, collection-games, collection-genericextra, collection-genericrecommended, collection-htmlxml, collection-langchinese, collection-langeuropean, collection-langgerman, collection-langgreek, collection-langindic, collection-latexextra, collection-latexrecommended, collection-mathextra, collection-music, collection-pictures, collection-plainextra, collection-publishers, collection-science, collection-xetex, context, context-filter, context-letter, convbkmk, cookingsymbols, csplain, cstex, ctanify, cyrillic, dccpaper, disser, dozenal, dramatist, drm, dtk, dtxgen, dvipdfmx, dvips, ebgaramond, ebgaramond-maths, ednotes, eledmac, eplain, epspdf, epstopdf, erewhon, esami, etoc, everyhook, exsheets, facture, fira, fnpct, glossaries, gothic, graphics, greek-fontenc, grotesq, handout, hepnames, hepparticles, hepthesis, heuristica, impatient, inconsolata, ipaex, japanese-otf-uptex, jmlr, knuth-lib, koma-script, kotex-utils, kpathsea, l3build, l3experimental, l3kernel, l3packages, latex, latex4wp, latex4wp-it, latexcourse-rug, latexindent, latexmk, latexpand, latex-tds, lettrine, lexref, libertine, lshort-english, lshort-japanese, ltxfileinfo, luaintro, luamplib, luatexko, makeindex, mandi, manfnt, manuscript, matc3mem, match_parens, mathastext, media9, metafont, metrix, mflogo, mfware, mhchem, minitoc, minted, mnotes, multiexpand, musixtex, musixtex-fonts, newpx, newtx, newtxtt, niceframe, noindentafter, odsfile, pas-cours, pdftex, perfectcut, pgfplots, philex, pkgloader, pl, plain, pmx, poetrytex, preview, pst-gantt, pst-optexp, pstricks, pstricks-add, ptex, ptex2pdf, ptex-ng.x86_64-linux, pxrubrica, qrcode, randomwalk, resphilosophica, sanskrit, savetrees, scalerel, scheme-context, schule, schulschriften, schwalbe-chess, sidenotes, simplecv, siunitx, skmath, spreadtab, startex, stringstrings, superiors, tableof, tcolorbox, tetex, teubner, tex4ht, texinfo, texlive-cz, texlive-docindex, texlive-en, texlive.infra, texlive-msg-translations, texlive-ru, texlive-scripts, texloganalyser, thuthesis, tikz-cd, tikzorbital, tikzsymbols, titlecaps, tools, toptesi, tracklang, tugboat, ucs, udesoftec, uestcthesis, upmethodology, uptex, voss-mathmode, vwcol, wasy, xcharter, xcookybooky, xecjk, xeindex, xepersian, xetexko, xgreek, xint, xkeyval, xmltex, xpinyin, xskak.